Spring Sale - enter discount code "SPRING19" for 10% off entire order. - Asterisk Inc.
Spring Sale - enter discount code "SPRING19" for 10% off entire order. 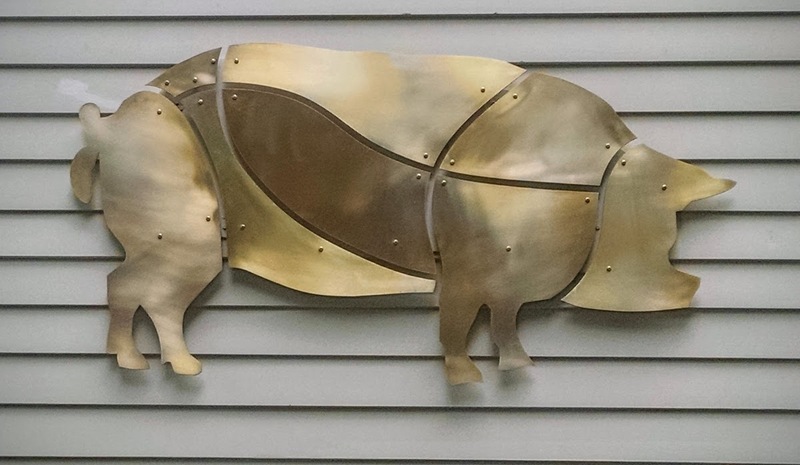 This Pig was made for our home and we love it. Made of Brass and cut into Butcher Cuts. It's mounted on delrin pieces so does not cause harm to the cedar clapboards. Great addition to any foodie's home or restaurant. Feel free to contact us for detailed information. 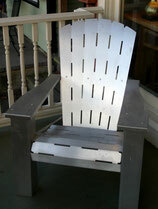 Everyone loves the classic Adirondack chair for enjoying the gorgeous summer weather. 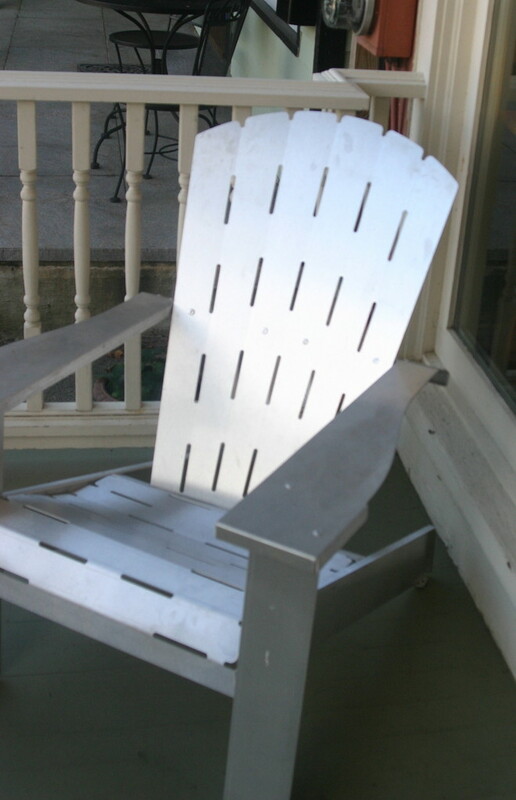 This Adirondack is made of 0.1" aluminum. 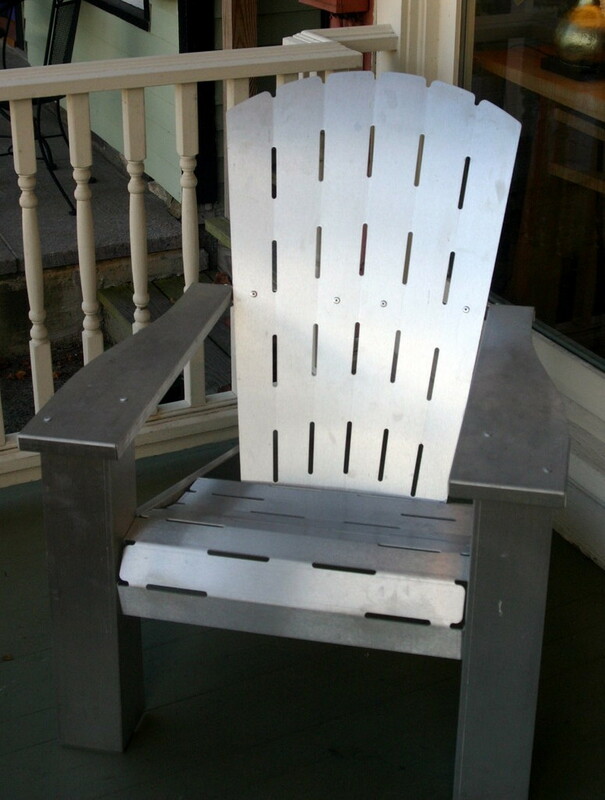 No paint to peel, wood to rot, steel to rust or plastic to degrade in the sun. 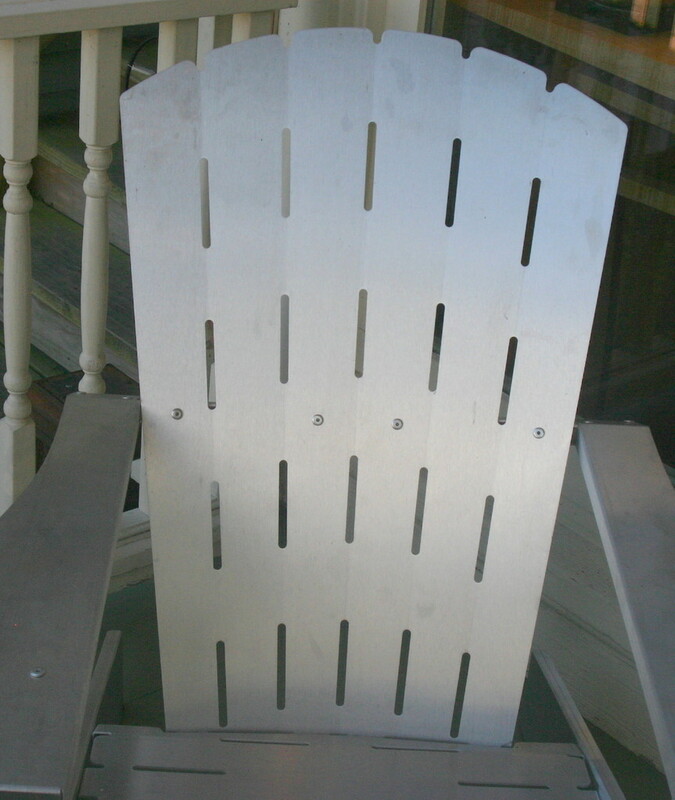 The entire chair weighs only 2 lbs, yet is extremely sturdy. The surface stays cool in almost all conditions making it very comfortable in hot, muggy weather. The chair can be shipped unassembled. 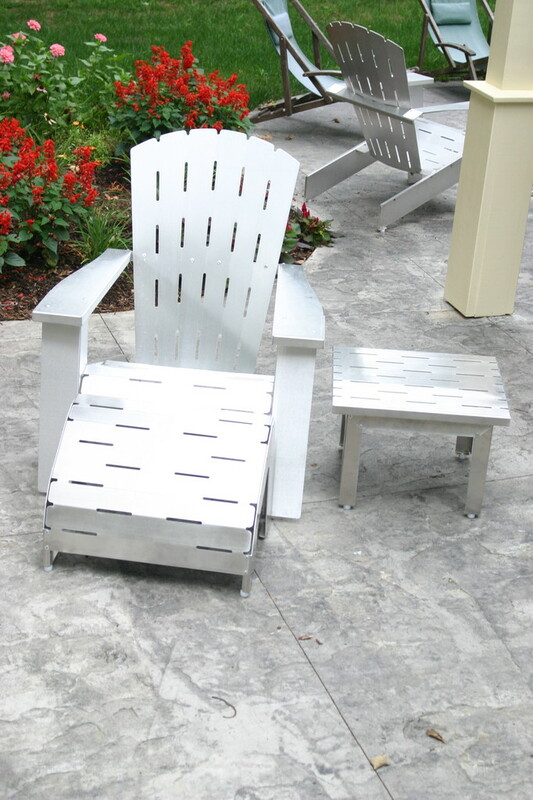 Each chair can be customized to your liking with initials, logos, images or design patterns. Pricing for multiple chairs is discounted. 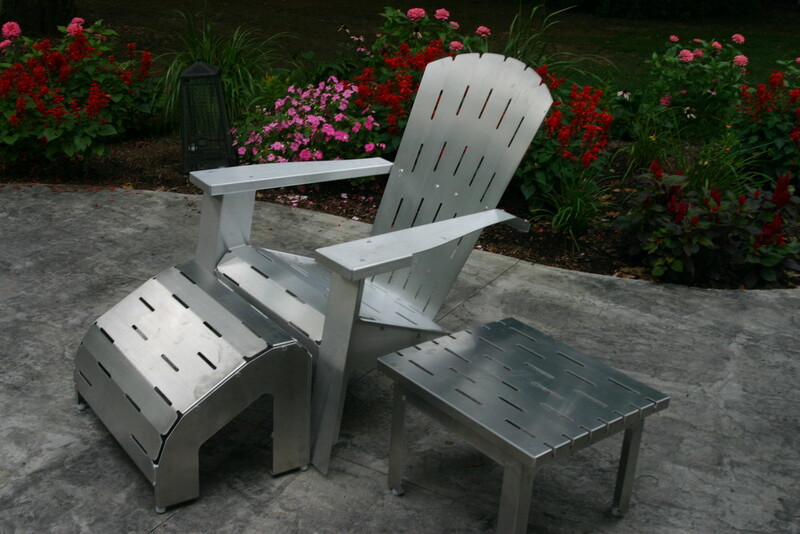 Well even though the side arms for the Adirondack chair are the perfect width for that nice cold beverage, you may want to have a side table to go with it. This table again can ship unassembled or be picked up locally assembled. Will ship free with each chair. 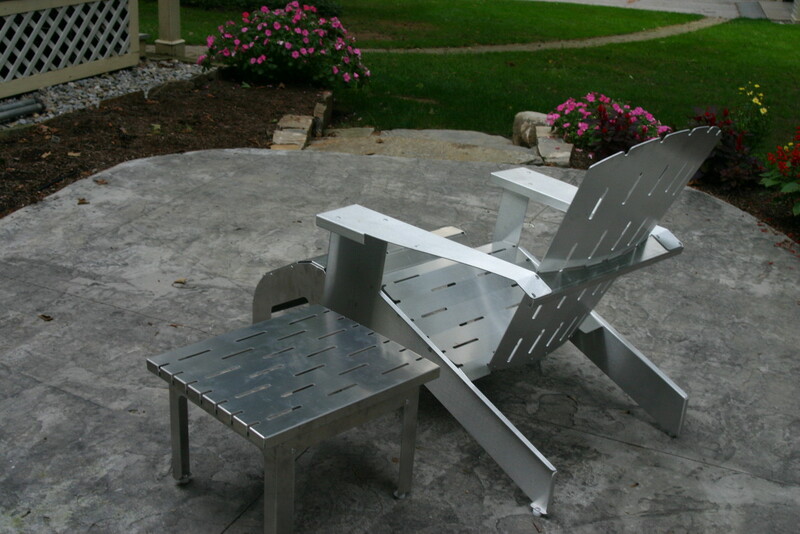 Please look for the item with the Aluminum Chair, Ottomon and Table. If you order the package together you will save even more. 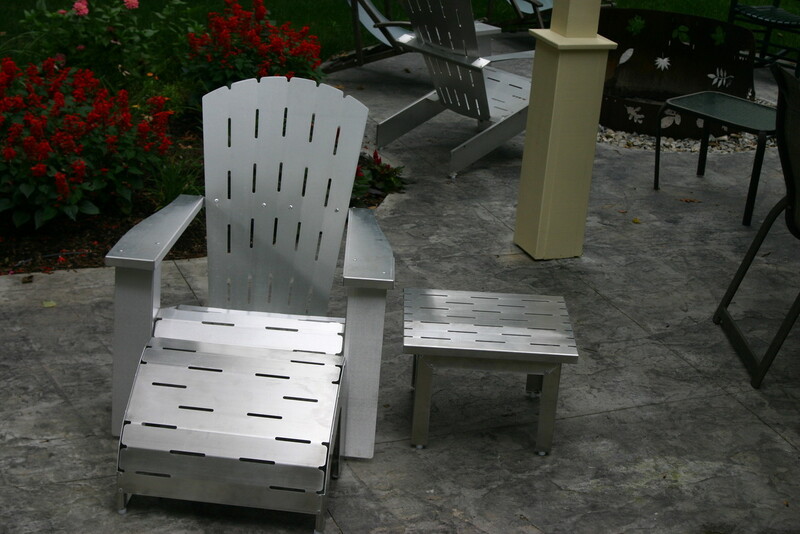 The Aluminum Adirondack Chair Ottoman and Table set. Get it all at once for less. This is a great addition to your outdoor fun. 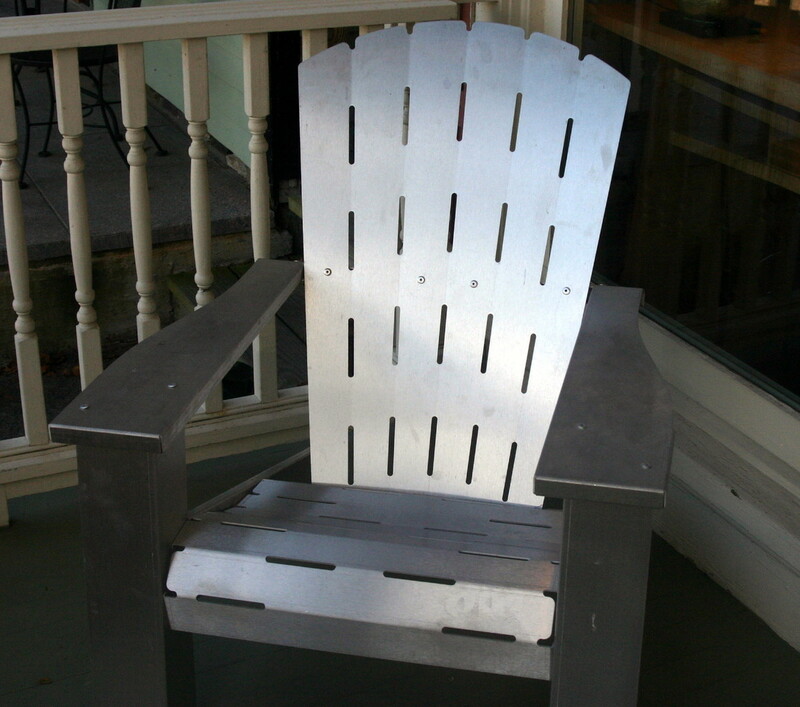 Made of .100" thick Aluminum, this will be around for a long time and is completely weather resistent. It will not rust, does not get hot in the summer, and is light enough to move anywhere. Save money by ordering the full set. Can be shipped unassembled or can be picked up locally assembled. Your choice. You save $80 as a set. 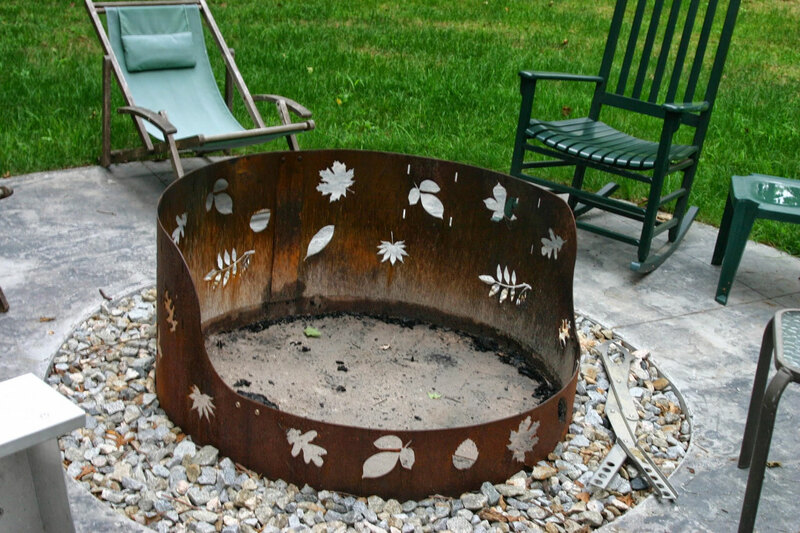 This fire ring will rust over time. Personalized cut outs are available per customers request. The price includes hardware and personalization. 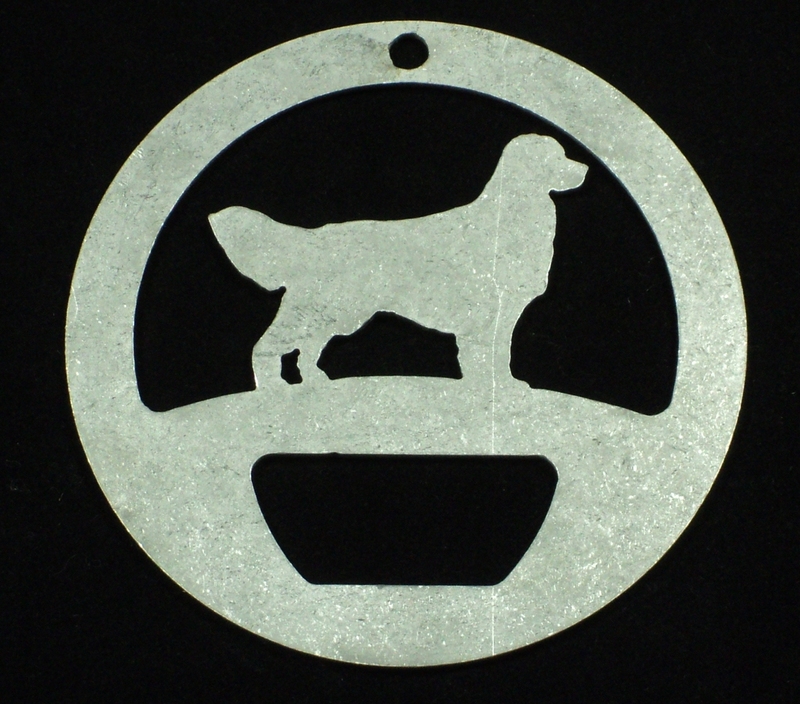 This ornament is made of plain steel and designed to rust naturally to an elegant patina. You can also paint it if you desire. 4 inch "stakes" extend below the dogs feet for ground insertion. Please pick the dog breed you'd like for your Item. If a breed is not available please add request in the Note section at the end of the check out process. 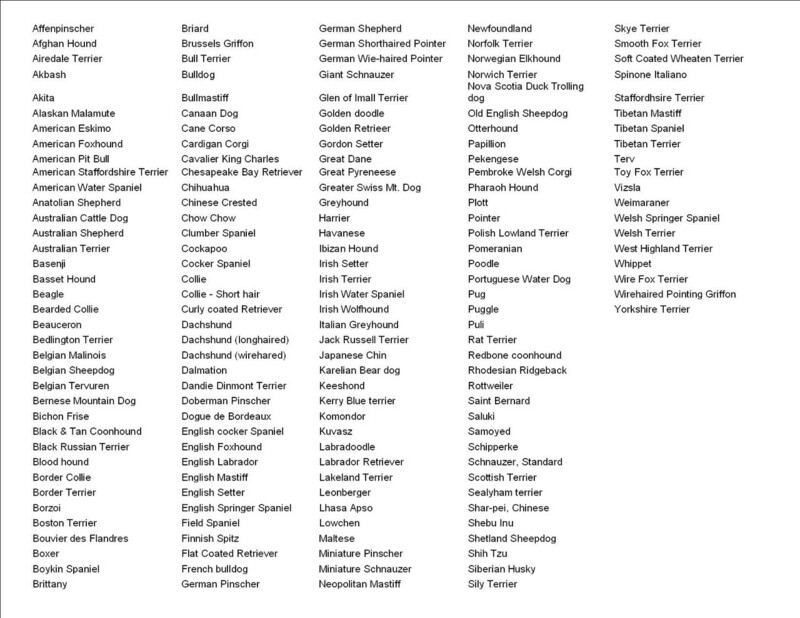 If ordering multiple breeds please specify which item is which in the Note section also. 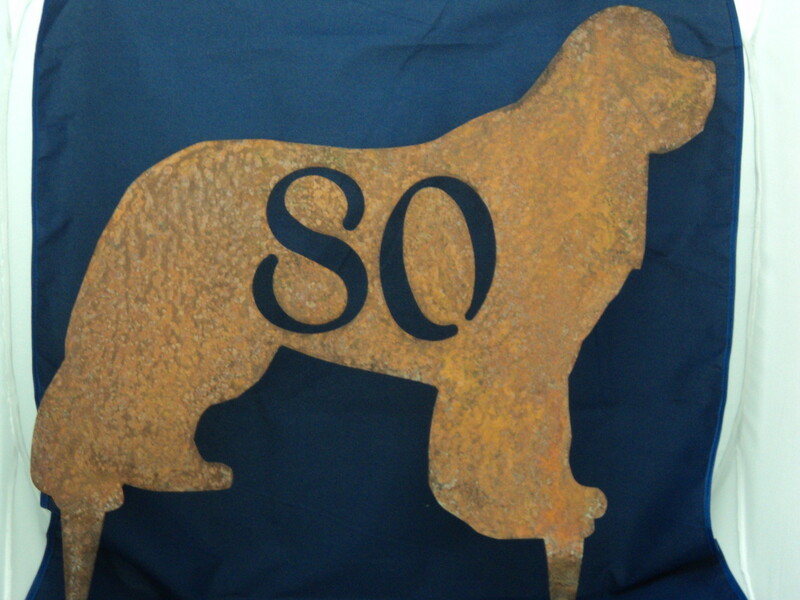 Display your house number and show how proud you are of your dog. 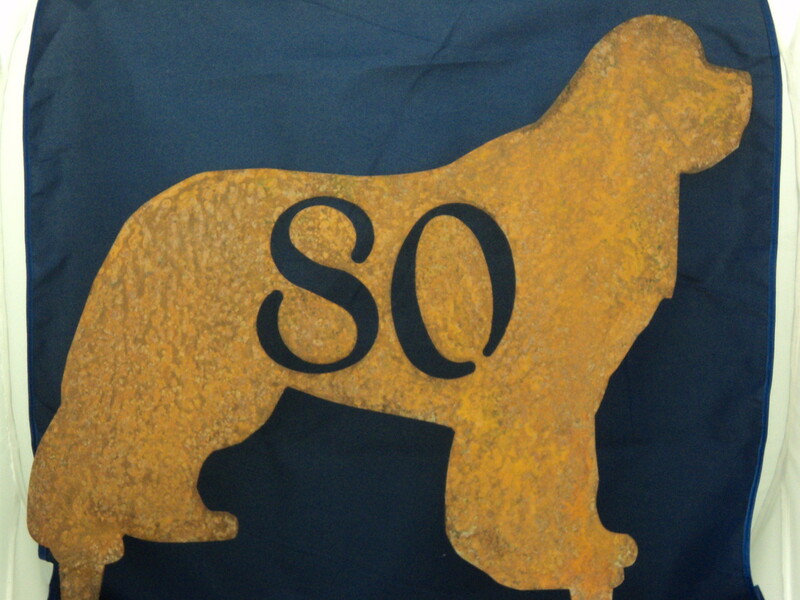 This ornament is made of plain steel and designed to rust naturally to an elegant patina. You can also paint it if you desire. 4 inch "stakes" extend below the dogs feet for ground insertion. Almost all breeds available. Specify breed below and Add House Number in the Note column. 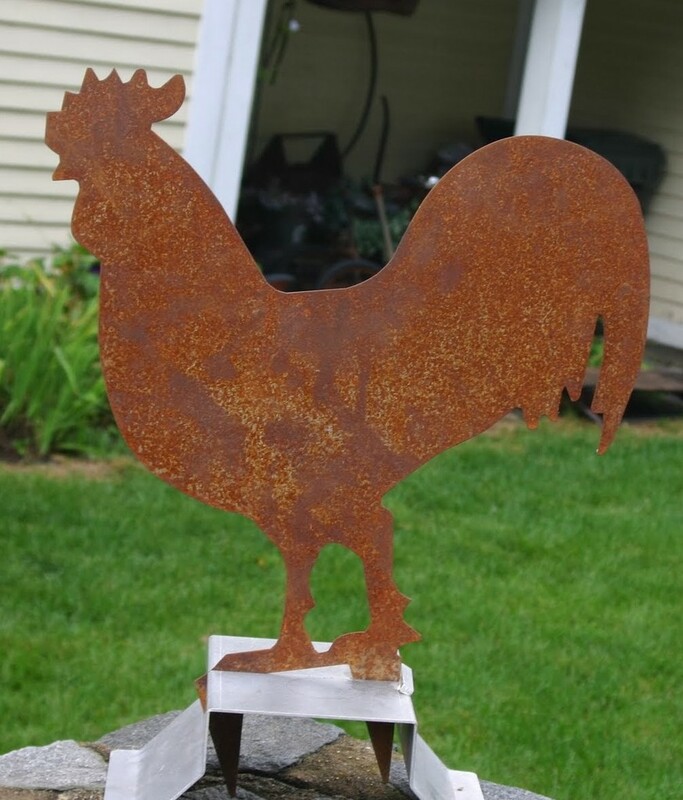 If you're familiar with what's been happening in little old Chester, Connecticut you'll understand the significance of the Rooster. If not you may still want a rooster sporting your yard. For all you know it may keep the foxes away. These peices are made of 12 Gauge CRS which will rust over time. 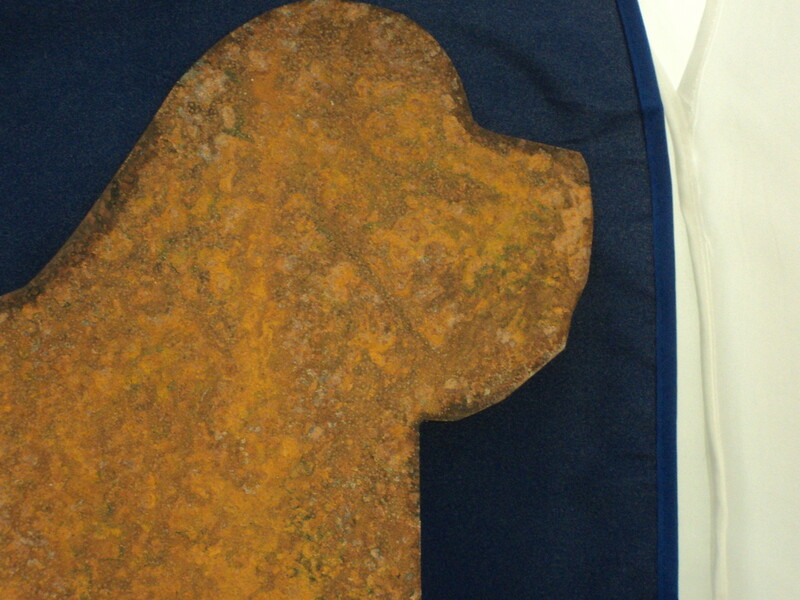 There are instructions to force the rusting so that it rusts evenly and quickly. This can be Plain, With a House Number or even with Chester in the center to show you're Chester Proud. Please note if it's for local pickup or delivery there will be no shipping fees. This is a 1" thick beer tap that can sport your dog's silhouette, other animal or shape of your desire. Female 3/8-16 threads fit most tap valves (other thread types available). Made of aluminum and stone tumbled for a antique finish. If you have a bar at home, are a home brewer or just collect beer taps you will enjoy a tap handle made to your design. This is a 0.5" thick beer tap that can sport your dog's silhouette, other animal or shape of your desire. Female 3/8-16 threads screw fit most tap valves (other thread types available). Made of aluminum and stone tumbled for a antique finish. 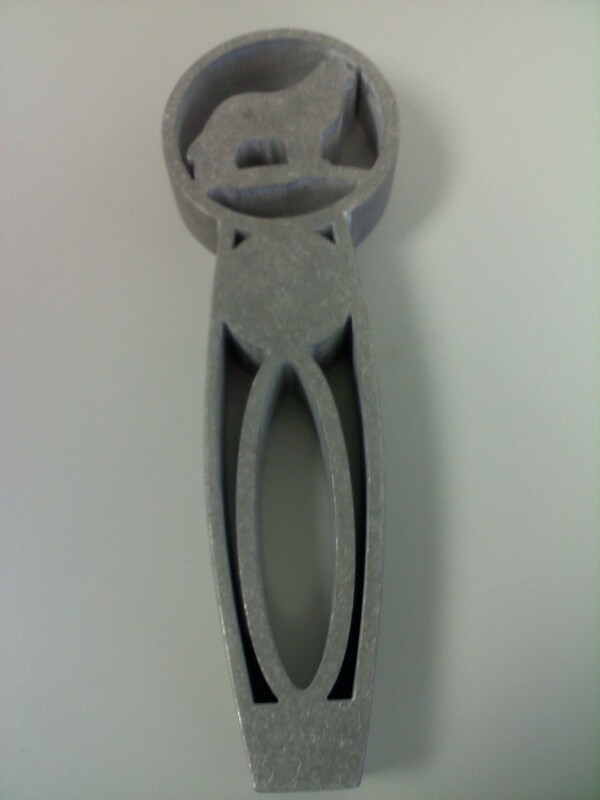 If you have a bar at home, are a home brewer or just collect beer taps you will enjoy a tap handle made to your design. This is a 0.75" thick beer tap that can sport your dog's silhouette, other animal or shape of your desire. Female 3/8-16 threads screw fit most tap valves (other thread types available). This beer tap is made of .12" thick stainless steel and has a stailness steel ferrule for installation. It can sport your dog's silhouette, other animal or shape of your desire. Female 3/8-16 threads fit most tap valves (other thread styles availabe). The body is stone tumbled for an antique finish and the ferrulle is lathe polished. 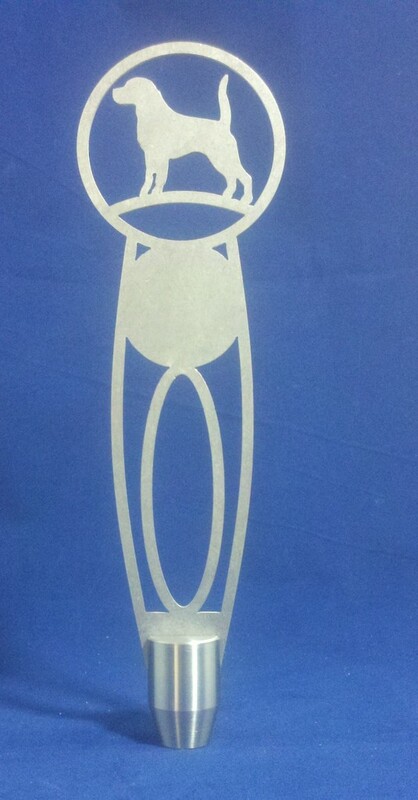 If you have a bar at home, are a home brewer or just collect beer taps you will enjoy a tap handle made to your design. Dog Breed Bottle Openers - Almost all breeds are available. Made of 14 gauge 304 stainless steel and stone tumbled for an antque finish. All have a hole on top for use on a key chain. - Made to order, quantity discounts available. 5" high, elevated dog feeder with two 1-quart stainless steel bowls. Made from a single piece of 304 stainless steel cut and formed to make a very sturdy feeder. Rubber bumpers on the feet protect floors and bumpers on top secure the bowls. Finger slots make removal of the bowls easy for the owner. This product can be customized with your dog's name and breed. See the "Personalize Your Feeder" item at the bottom of this page. 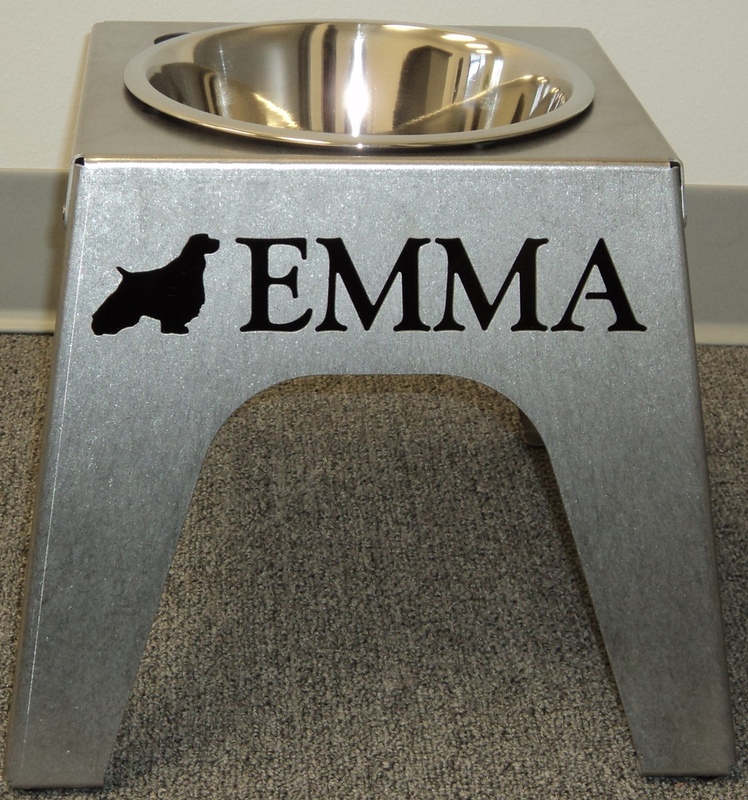 10" high, elevated dog feeder with one 2-quart stainless steel bowl. Made from a single piece of 304 stainless steel cut and formed to make a very sturdy feeder. Rubber bumpers on the feet protect floors and bumpers on top secure the bowl. A finger slot makes removal of the bowl easy for the owner. 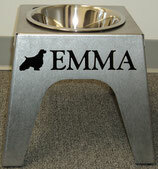 10" high, elevated dog feeder with two 2-quart stainless steel bowls. Made from a single piece of 304 stainless steel cut and formed to make a very sturdy feeder. Rubber bumpers on the feet protect floors and bumpers on top secure the bowls. Finger slots make removal of the bowls easy for the owner. 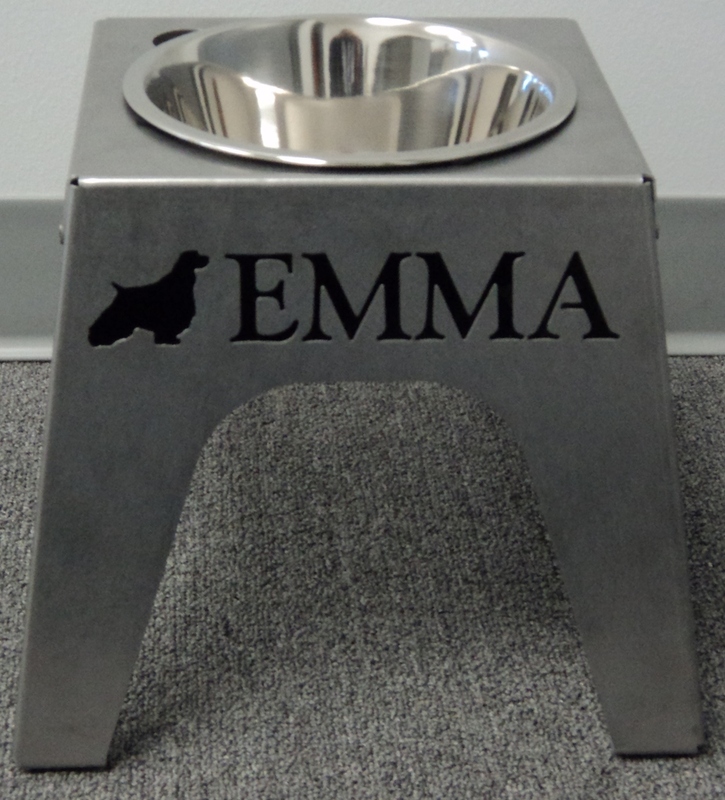 14" high, elevated dog feeder with one 3-quart stainless steel bowl. 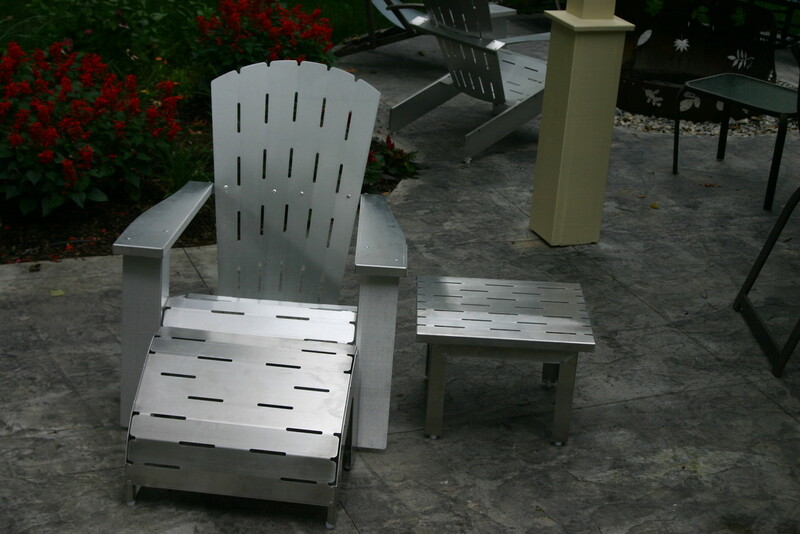 Made from a single piece of 304 stainless steel cut and formed to make a very sturdy feeder. Rubber bumpers on the feet protect floors and bumpers on top secure the bowl. A finger slot makes removal of the bowl easy for the owner. 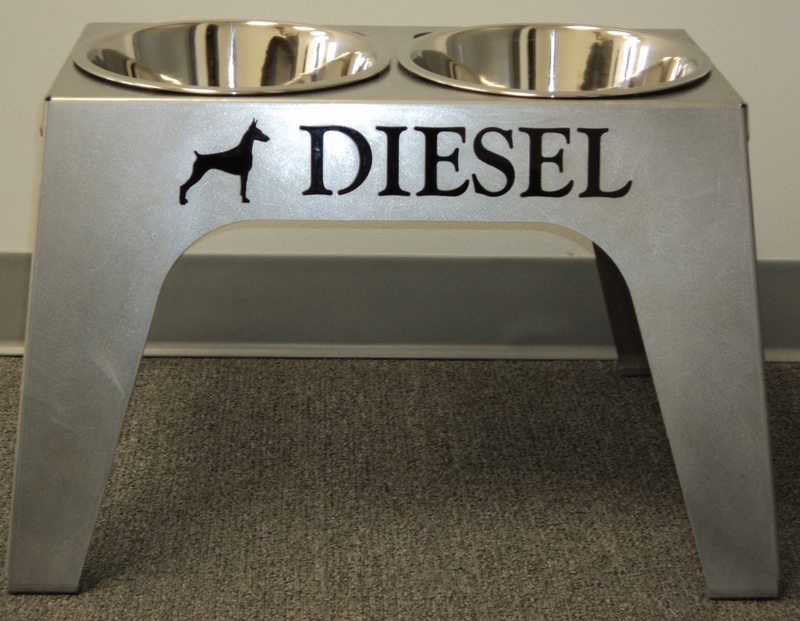 14" high, elevated dog feeder with two 3-quart stainless steel bowls. Made from a single piece of 304 stainless steel, cut and formed to make a very sturdy feeder. Rubber bumpers on the feet protect floors and bumpers on top secure the bowls. Finger slots make removal of the bowls easy for the owner. 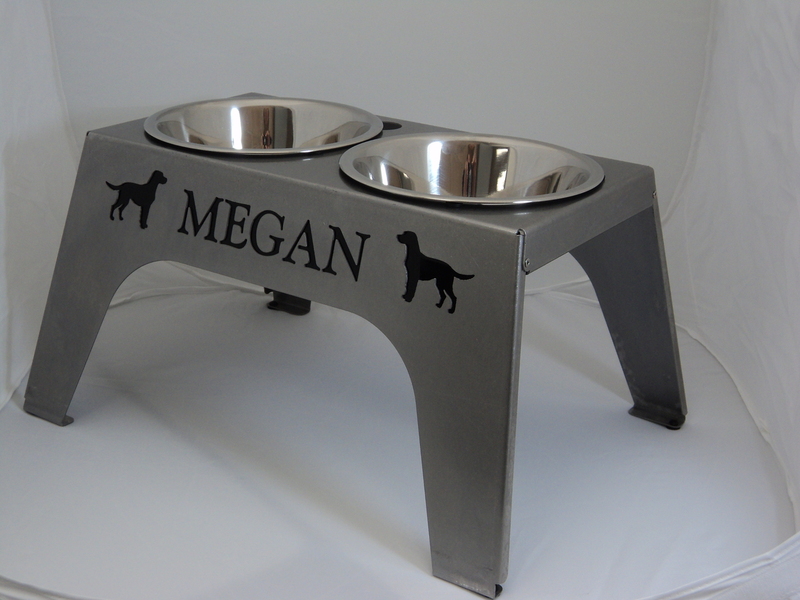 Your dog feeder can be personalized with your dog's name and breed. Please enter what you'd like on your feeder in the notes section of the checkout form. If there are any questions with your request we will contact you prior to making the feeder so we are all happy with the out come. Not sure what to they want? 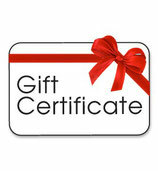 Holiday Items - Available all year! 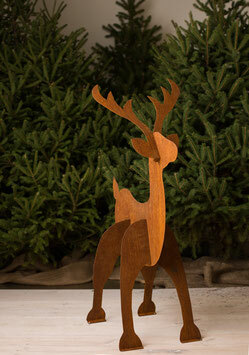 Steel 40" Reindeer - Sale Price! This reindeer will make the perfect accent for your Holiday Decorating. Free standing for inside or out. Has holes for staking in the ground if you'd like. 4 pieces and will come apart and store flat. These ornaments are made of 1/8" thick acrylic and tumbled to soften the edges and give it that frosted look. Light enough to hang on any tree. We are happy to make what every breed dog you wish and do have some other animals available. Cat, Pig, Rooster and even Sheep. Add a little personal flair to your Christmas tree this year. 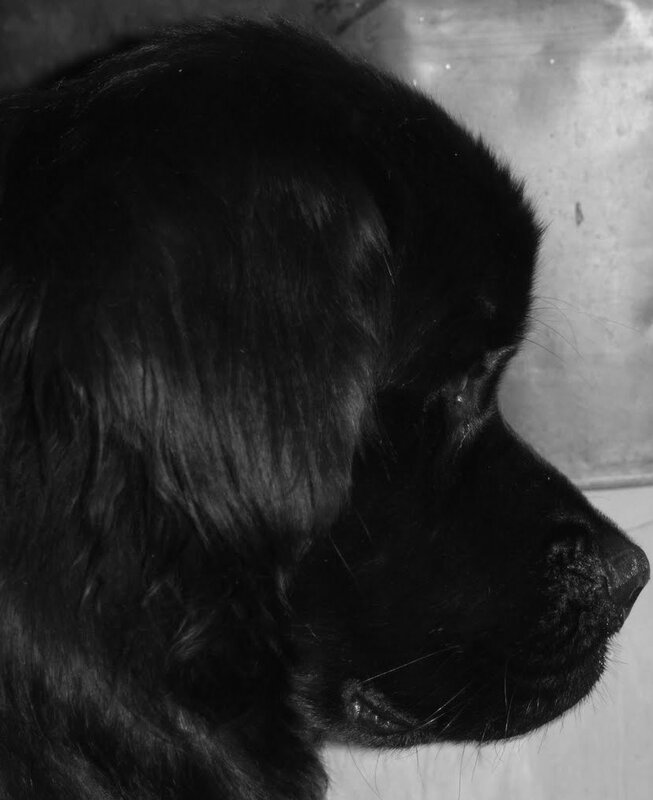 As you may realize, the Newfoundland breed is one near and dear to our hearts. We are happy to offer help to a group of dedicated Newfoundland lovers that have taken in the ones in need. That Newfoundland Place is in Coventry, CT and has helped place many hard to place Newfoundlands. Please add this into your cart and we will donate 15% of all of your sale to That Newfoundland Place. A great way to help those in need. Would you like 10% of your order to go to help dog rescues? 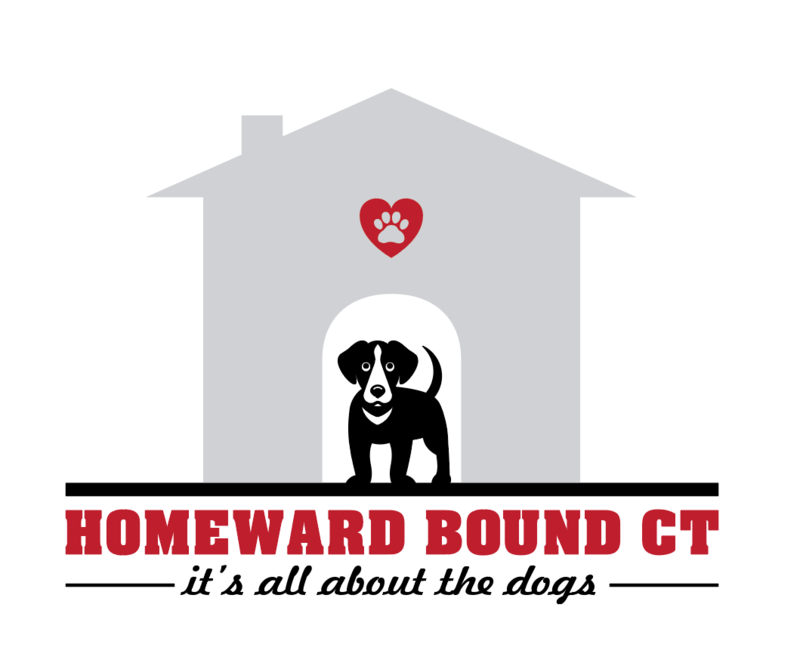 All funds collected by 12/31/17 will be donated equally to rescues that Homeward Bound CT works with. Simply add this item into your cart and Asterisk will donate directly to Homeward Bound that will distribute the funds to rescues they work with. 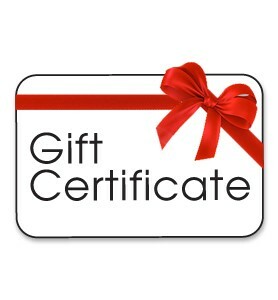 Sign up for our Email List Get 10% off on your order.